Windy conditions and poor light experienced during an April 30th cliff-top walk were contributing factors to long exposure images exploring a world in a state of movement. 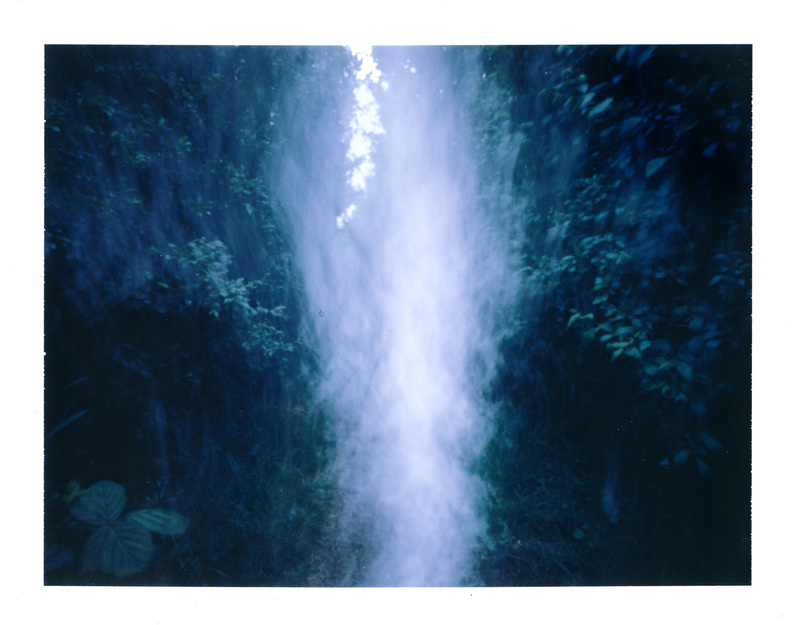 These new pinhole images and part of a new series ‘Love in Motion’. 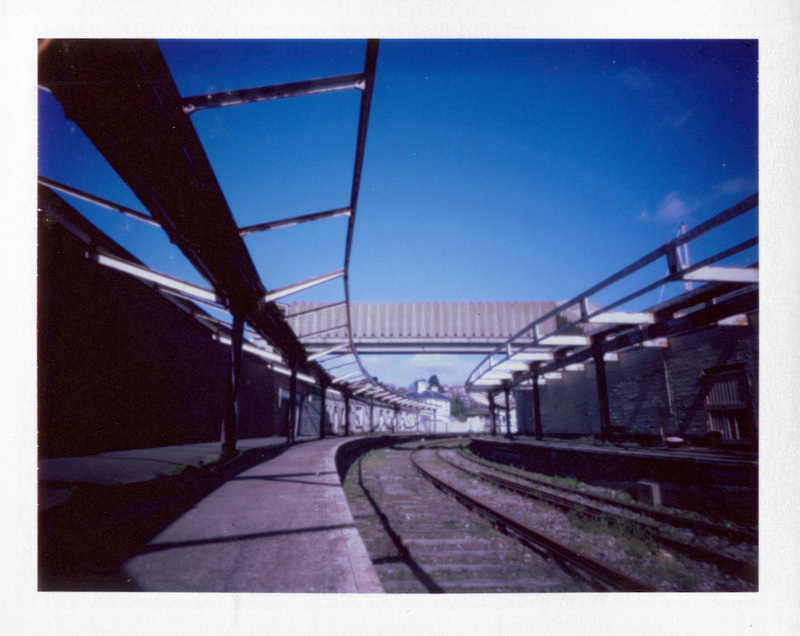 A few more scans of the pinhole instant film shots from a Worldwide Pinhole Photography Day Caple le Ferne walk. 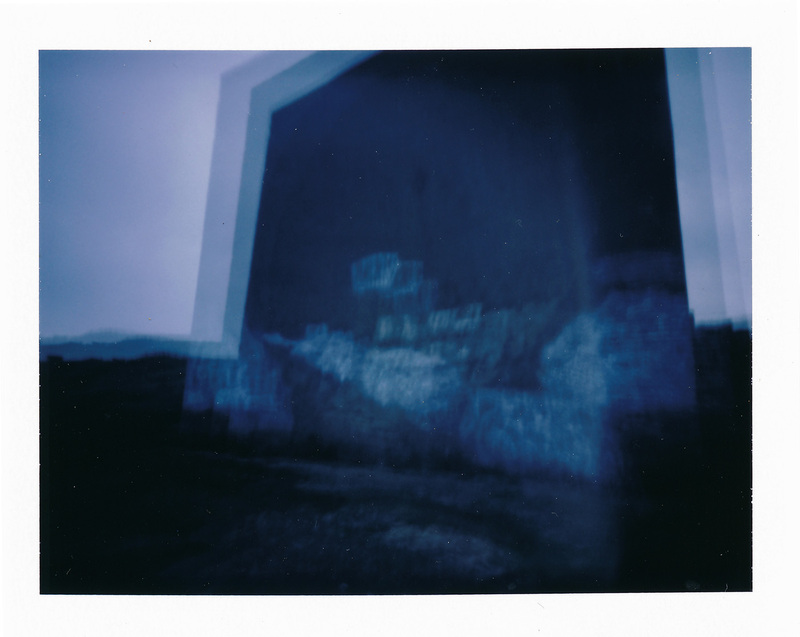 Polaroid 100 pinhole camera with a 1-8 minute exposure on expired Fuji colour gloss type 100 instant film. 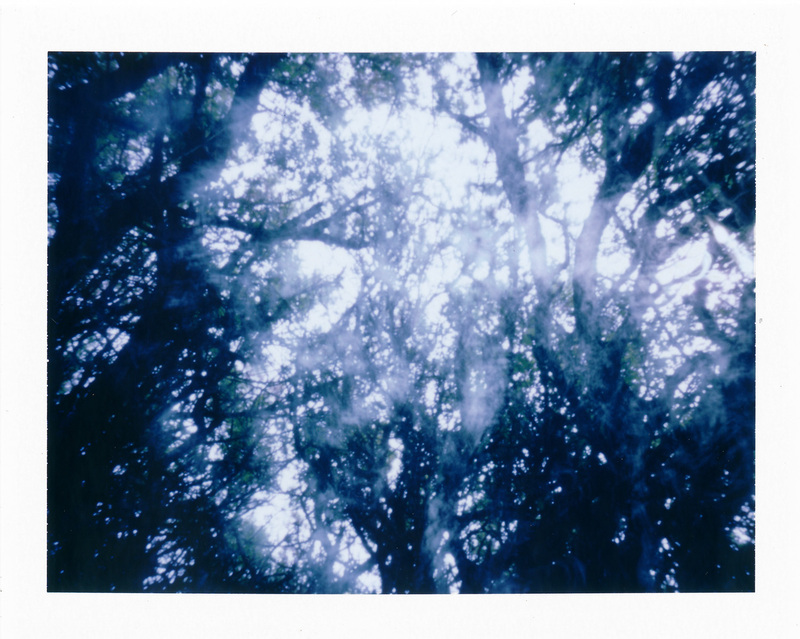 I had an exciting day experimenting with my Polaroid 100 pinhole camera, and some Fuji FP-100c type 100 peel apart instant film, to celebrate Worldwide Pinhole Day 2013 on 28th April. 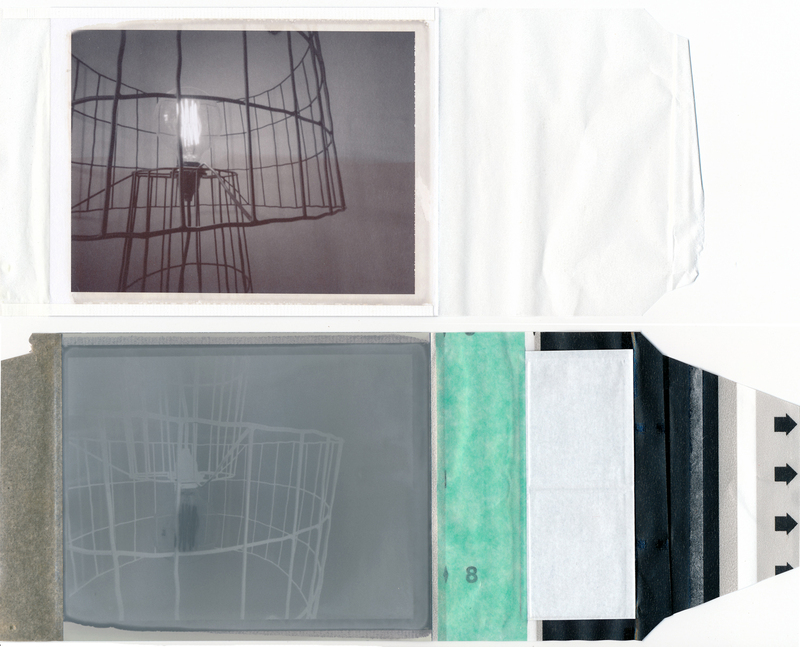 The Polaroid pinhole camera, a little white compact plastic box with a film holder attached, is really easy to use: firstly covering the pinhole, while sliding back the dark slide, having determined exposure time for the f220 pinhole in seconds, before covering and returning the dark slide to its closed position. 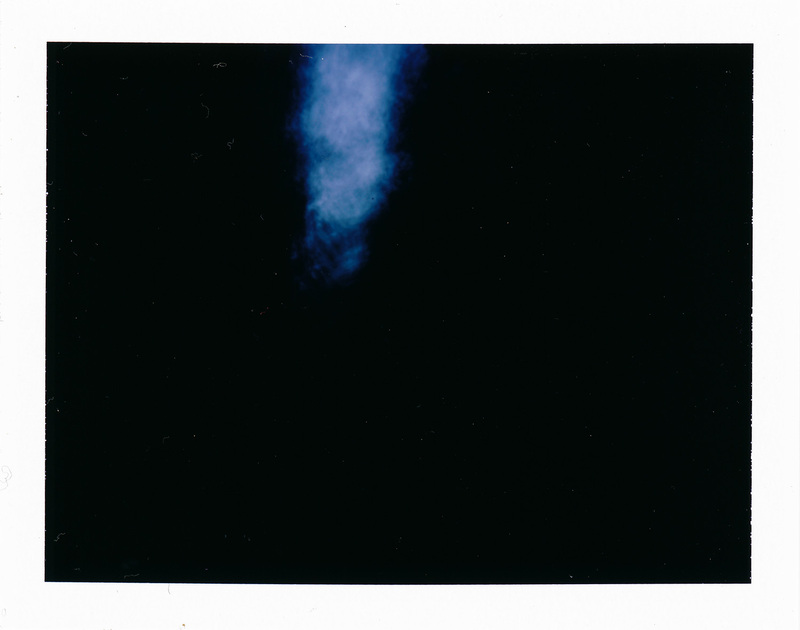 The film sheet can then be pulled from the camera, activating development, timed to current ambient temperature, before finally peeling apart and voila! a fabulous glossy print is revealed. The day was cold and windy, but fortunately bright; allowing for exposures of between 3 and 8 seconds. Working with peel apart film is always somehat more challenging in windy conditions: getting the caustic gel covered waste parts safely into a bag, while ensuring the print is secure in a drying rack to avoid marking the damp surface (a Cokin filter box is perfect for portable drying/storage). Using instant film is however always exciting. There is an analogue pleasure in the performance/process, then the moment of excitement and anticipation while peeling apart the film layers, revealing the finished print with an immediacy that is rather more akin to the expediency of digital photography. There is something rather special about the fact that the Polaroid or instant image is complete: finished. 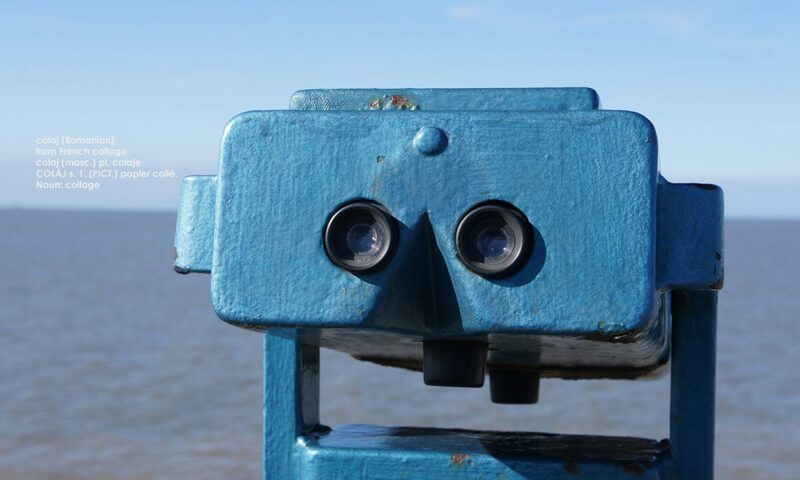 There is no altering, or post processing possible. The print is the final outcome, a one-off unique edition of one.